Our Calais warehouse is now fully open again and the first few days back have been busy. Today we went to Dunkerque as there was another clearance by the police once again taking the the refugees possessions, particularly harsh in the rain. Working with the fabulous Women & Children’s centre we distributed to the men while they distributed to the families. 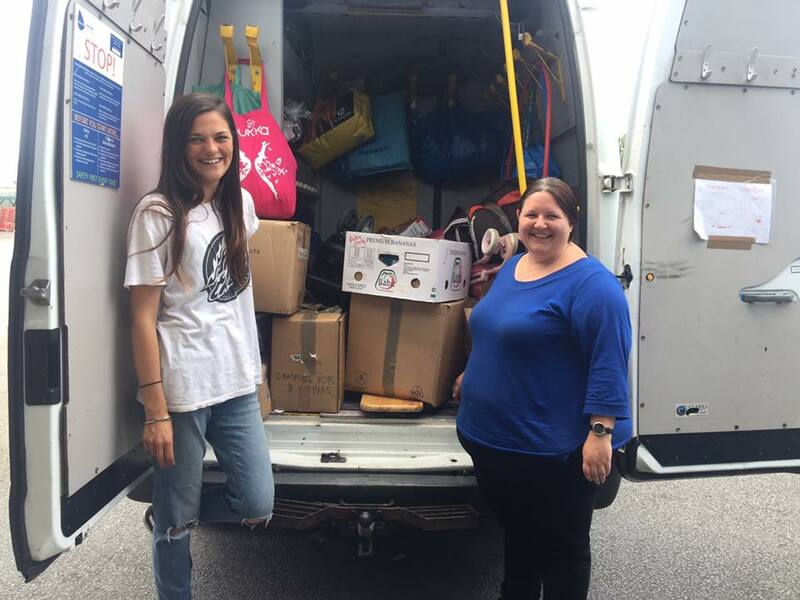 Earlier this week the W&C centre came to our warehouse to pick up camping equipment, buggies and children’s sleeping bags, and of course the 200 pairs of leggings donated by Sally Kincaid – that will make the ladies happy! This week we also took new socks, t shirts, jeans and tents to the newly formed Dunkirk Refugee Ground Support Network. Dunkirk today, Calais tomorrow.